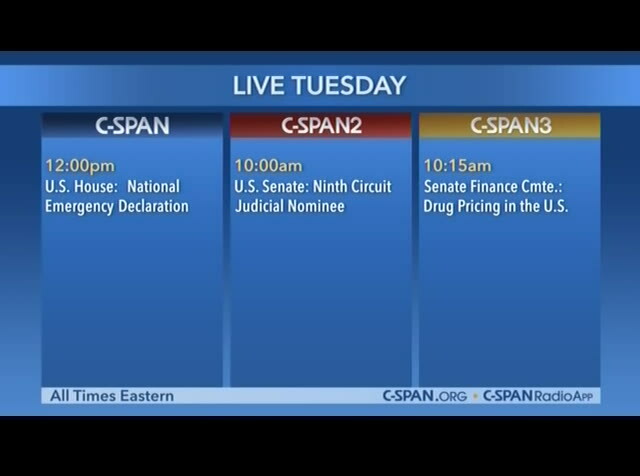 senate continues work on a judicial nomination and on c-span3, the senate finance committee examines drug pricing in the u.s. with the ceos of major pharmaceutical companies. 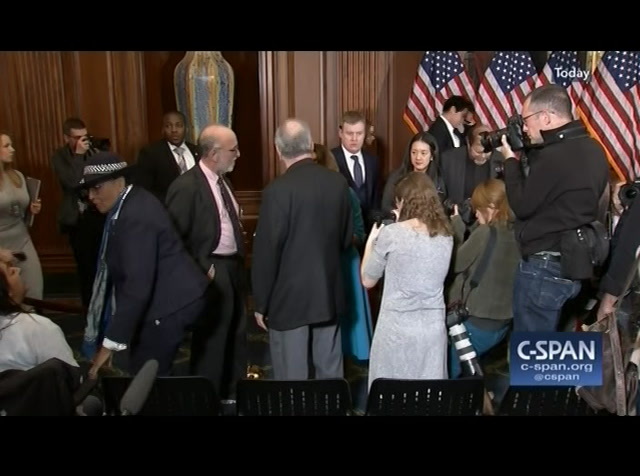 >> michael cohen, president trumps long-term personal attorney will testify before the house oversight and government reform committee on thursday. 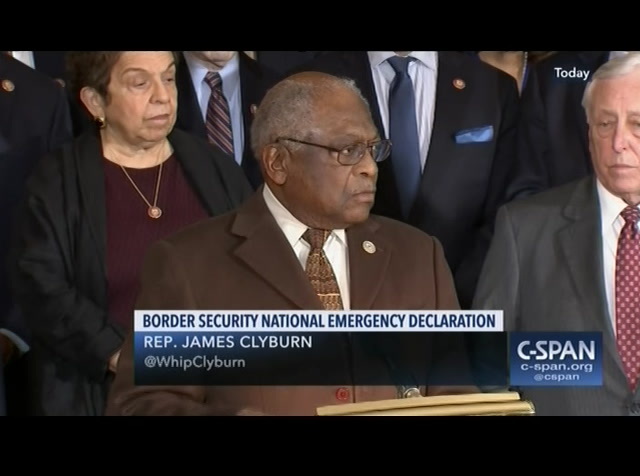 elijah cummings will inquire into his interactions with the president. 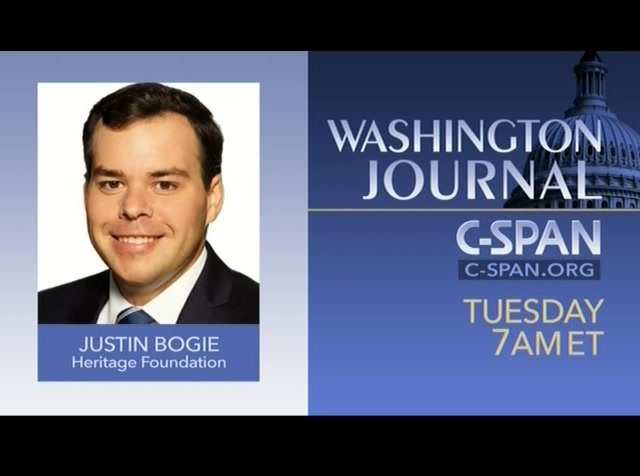 watch the hearing live wednesday morning at 10:00 a.m. eastern on c-span3, c-span.org, or listen with the free c-span radio app. 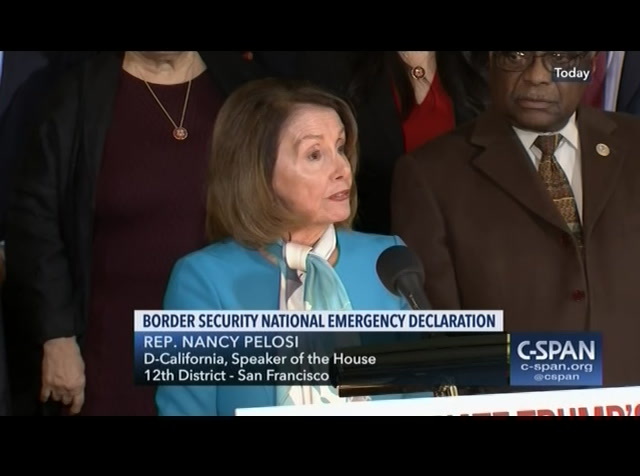 >> house speaker nancy pelosi and fellow house democrats held a news conference to discuss the resolution to block president trump's emergency declaration for the u.s.-mexico border. 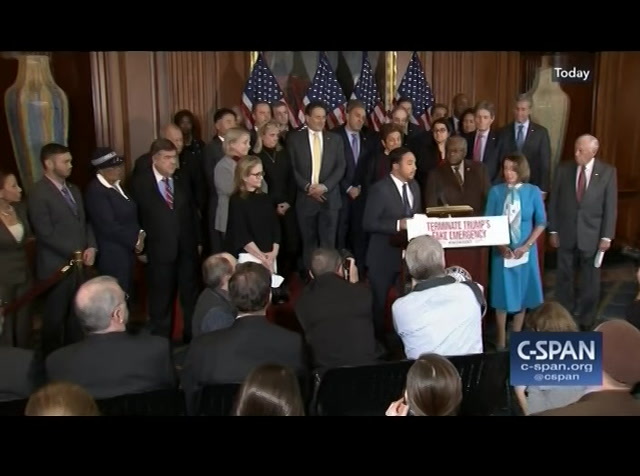 texas a result of authored the resolution and spoke about the need to get it passed. 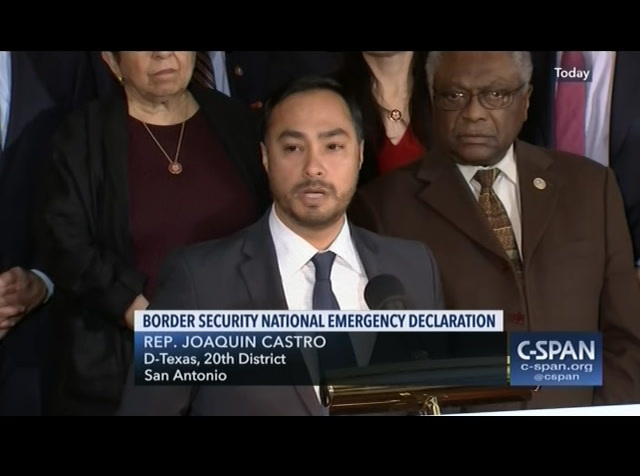 this is 20 minutes from the u.s.
the gentleman from texas, mr. castro. 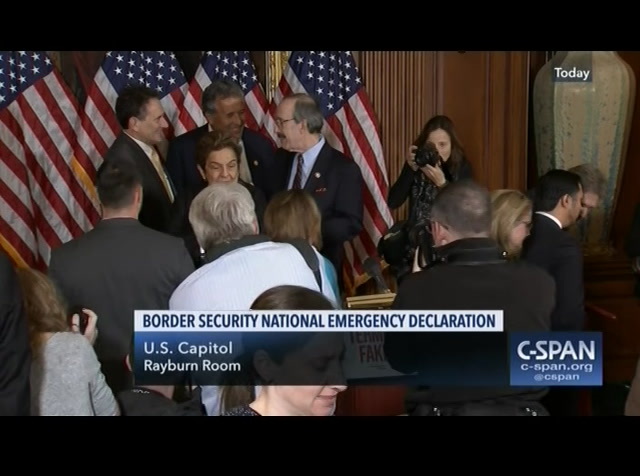 mr. castro: thank you for your leadership and marshaling support on resolution 46. six weeks ago when the rumors started that president trump might declare a national emergency, to build his border u.s.-mexicothe border we started to work to find a way to make sure that congress would have a say in this matter. 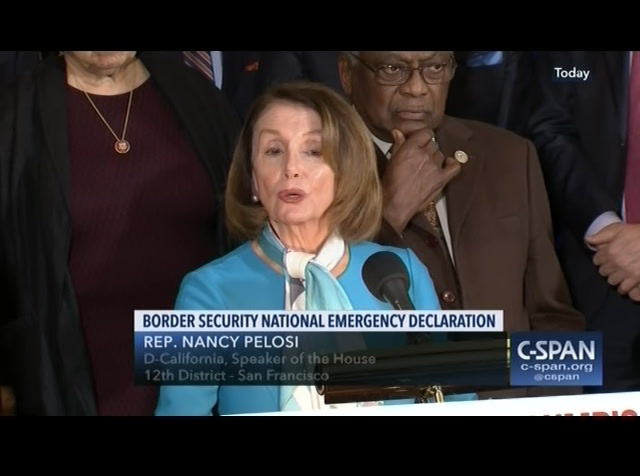 hj result of that is resolution 46 which would terminate the declaration of a national emergency to build this border wall. 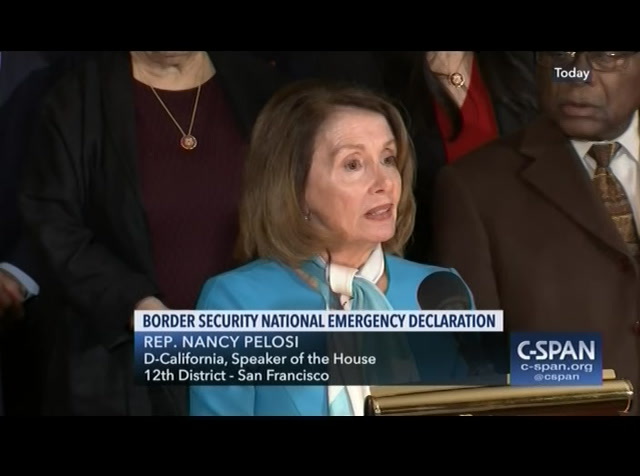 our country since its founding has become the most prosperous and powerful nation on earth without any wall. 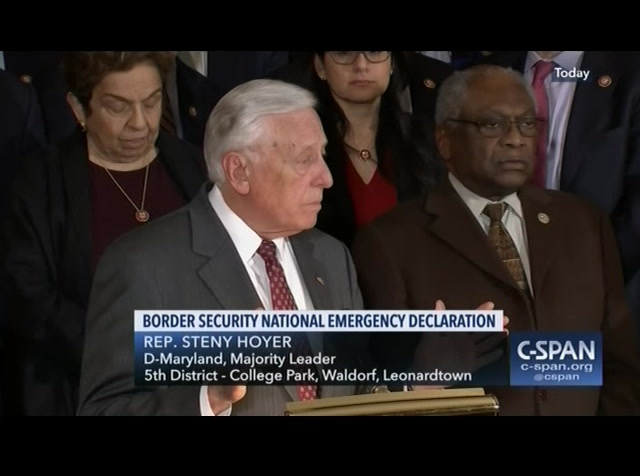 that is why i believe most of the american people and most people in my home state of texas disagree with the president building a wall across our border. 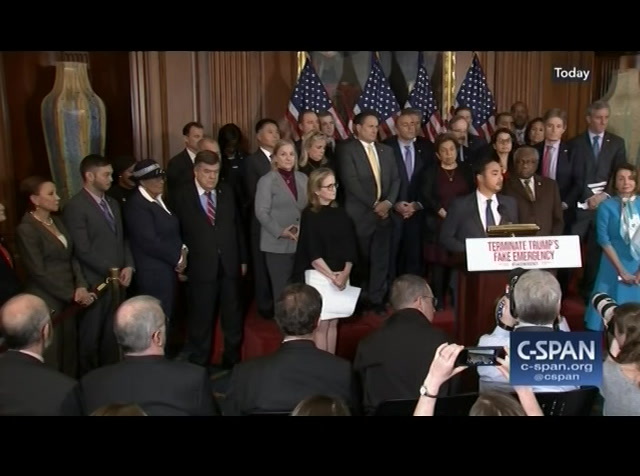 congressman vargas. >> i am here. 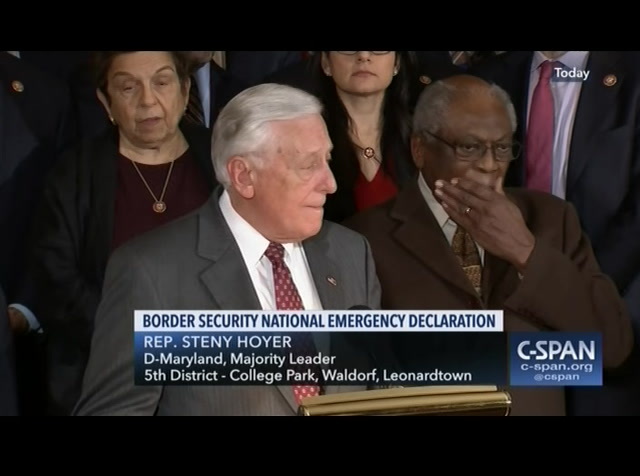 [laughter] mr. hoyer: i am not taking role. 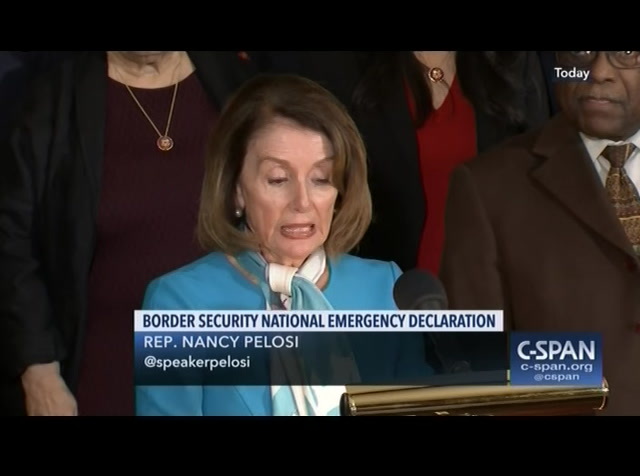 and what i concluded, there is no crisis at the border. 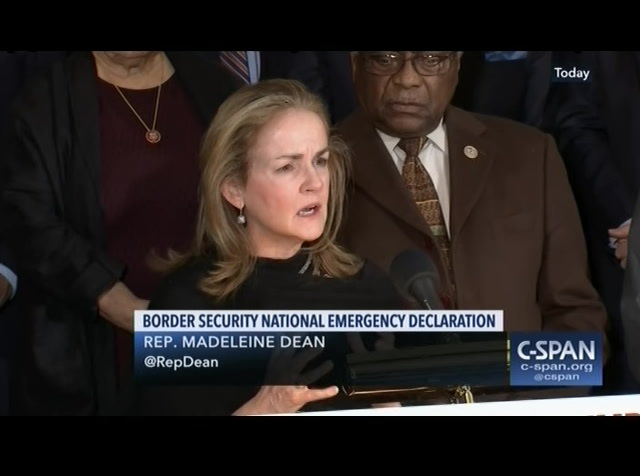 tomorrow will be ourher there is a crisis of constitutional adherence. 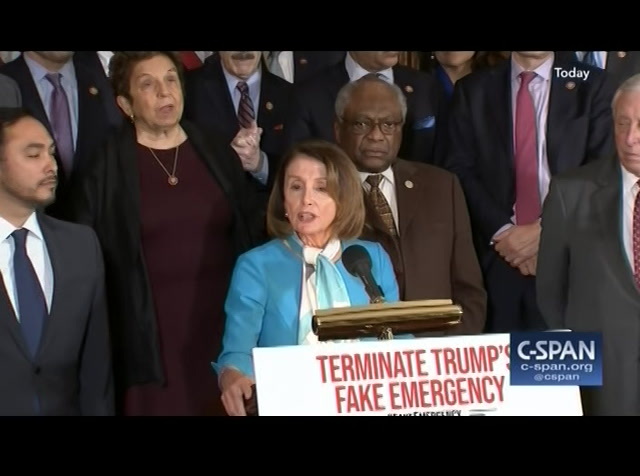 whether there is a crisis because there is a lack of consciousness -- conscience and courage among the members of the house of representatives and subsequently, the u.s. senate to stand up for what the fathering -- finding -- founding fathers want, they did not want king george, they had enough of king george telling them what to do. and so they created this extraordinary government. two centuries. because of the checks and balances that we talk some much about. and that tomorrow we will have the opportunity to commit ourselves to. not just talk about it. 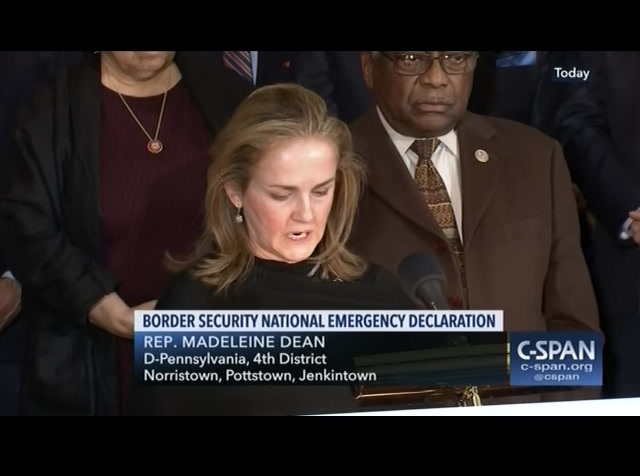 so i pray that the members of the house will have the conscience and the courage to protect the greatest constitution the world has ever seen. 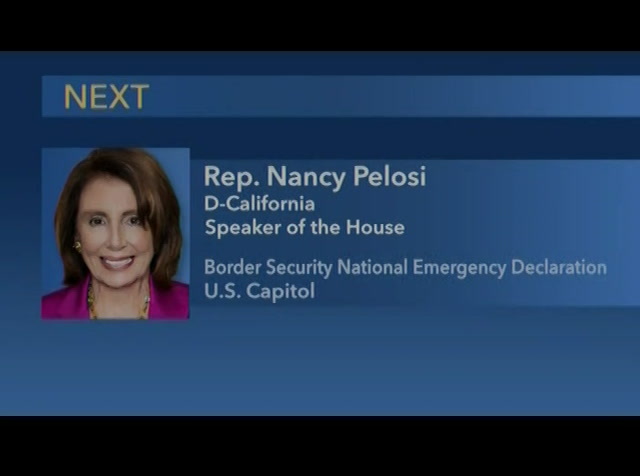 the american people will be watching. and now i yield to my friend from south carolina. 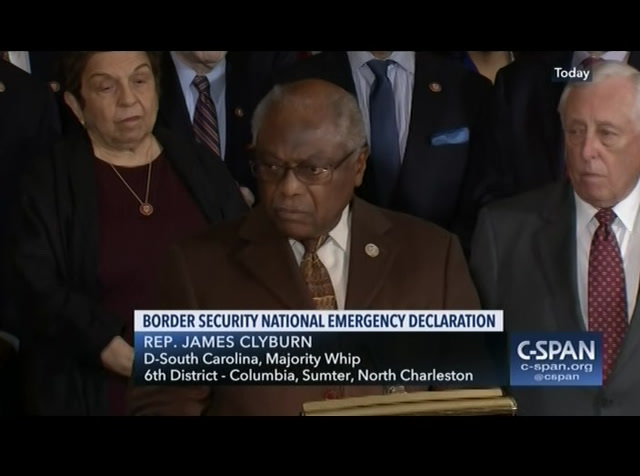 the distinguished majority whip jim clyburn. 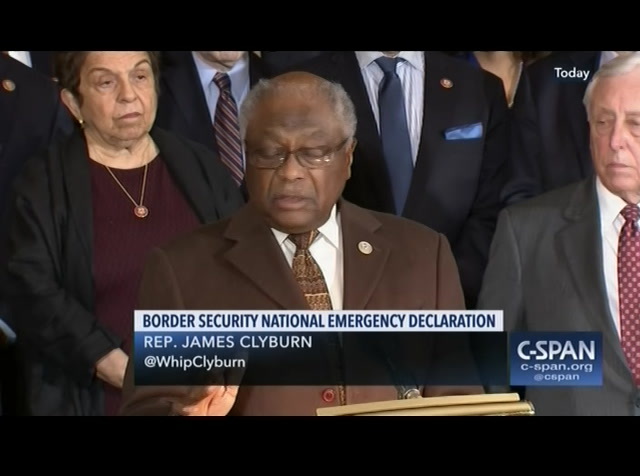 mr. clyburn: thank you, thank you very much. 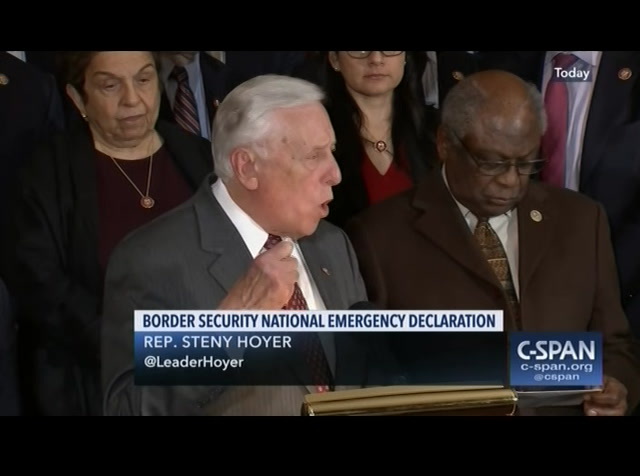 hoyer.ou, leader speaker pelosi. 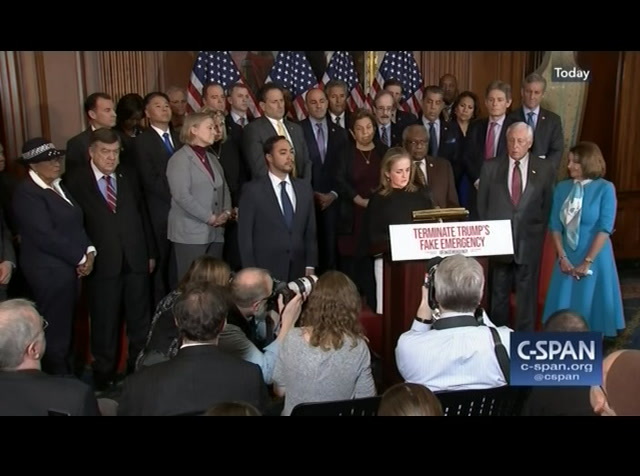 >> c-span's vocal washington journal" live every day with news and policy issues that impact you. coming up tuesday morning. a discussion about policy aimed at reducing the national debt. 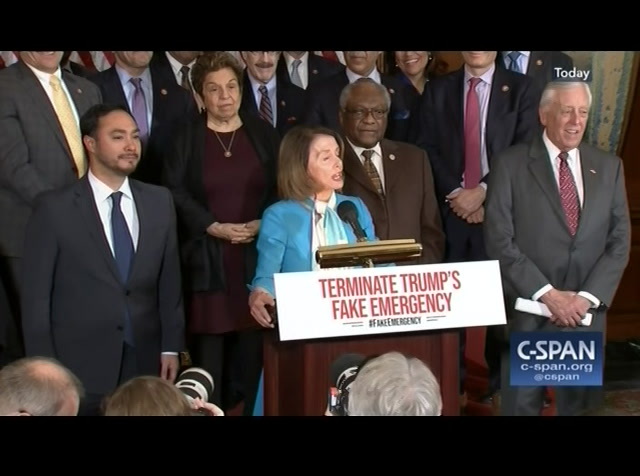 Speaker Nancy Pelosi (D-CA) and House Democrats held a news conference to discuss the resolution to terminate President Trump's emergency declaration for the U.S.-Mexico southern border. 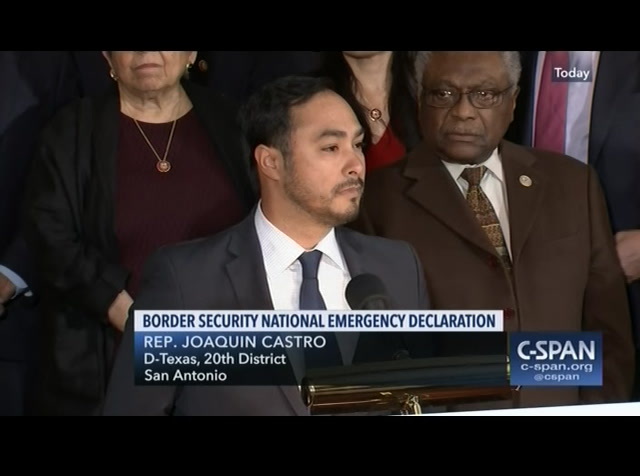 Texas Rep. Joaquin Castro who authored the resolution spoke about the need to get this passed.